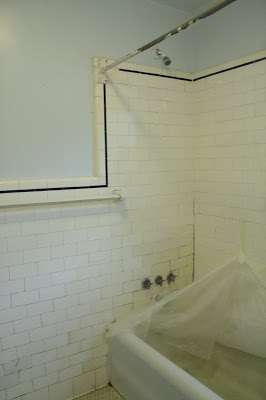 The bathroom demolition started today, and we’ve already uncovered “issues”. So it is good that we are taking care of it before a huge disaster happens. Here are before pictures to give you a glimpse of the desperation. My sister said to me in horror…”I can’t believe you’ve been bathing your children in THAT tub.” Yes, I’m a horrible. But we are making giant steps. 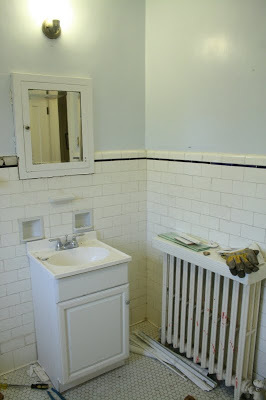 And I’m praying that it comes out looking clean and new, but keeping with the colonial style of the home. We decided to put in a new floor after our contractor told us he wouldn’t charge extra to install since it’s easier for him to rip up instead of maintain. 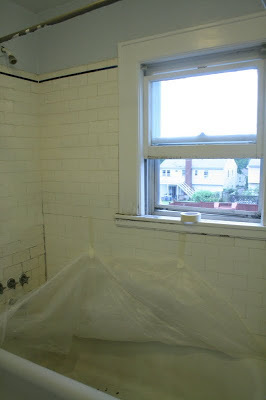 I picked out a beautiful Italian carrara honeycomb marble for the floor. 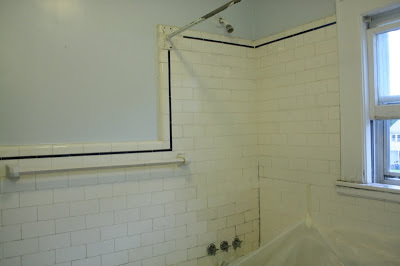 White subway tiles in the tub area. 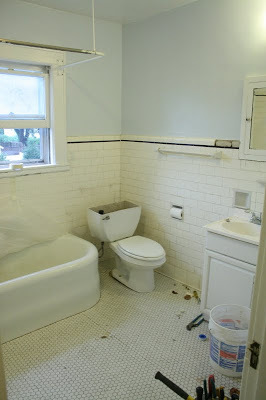 White bead boarding around the bathroom. Polish chrome for the fixtures. New window. New paint. My question is do I go with an espresso sink vanity or white sink vanity?